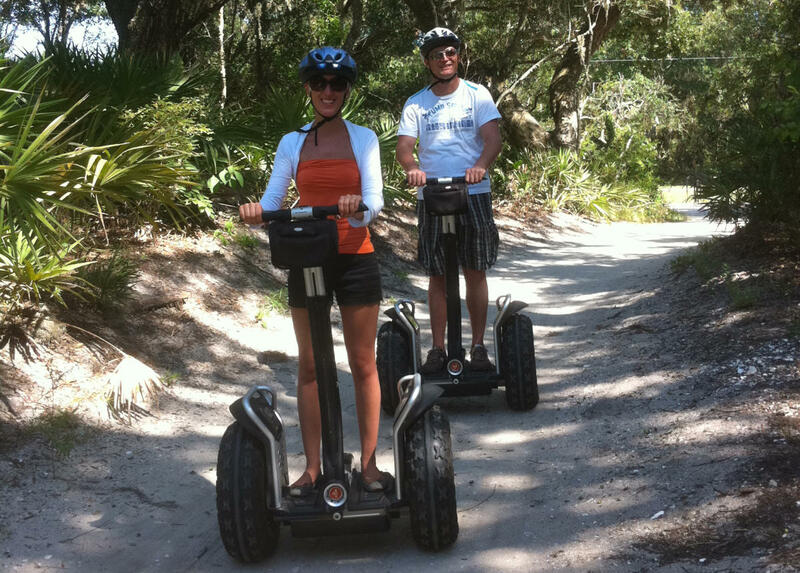 Tour the maritime forest on the south end of beautiful Jekyll Island while guiding along on an eco-friendly Segway® Personal Transporter (PT). The educated guide provides instruction on how to use this state-of-the-art form of transportation, and then takes you through the paths to wonderful vistas, pointing out the plant and animal life as you stop to observe the sights. The Segway® PT is a self-balancing personal transportation device designed to go in a safe, eco-friendly, efficient manner. These devices feel like nothing you've ever experienced because there's never been anything like it. Step on and your instinct will be to steady yourself, as you would on anything with two wheels. But almost immediately you'll realize that the Segway® PT is balancing for you, almost like it has become an extension of you. Just lean forward a little and you'll see that the Segway® PT isn't moving you on its own; it's moving in response to you and what you tell it to do. It all feels natural and really cool. 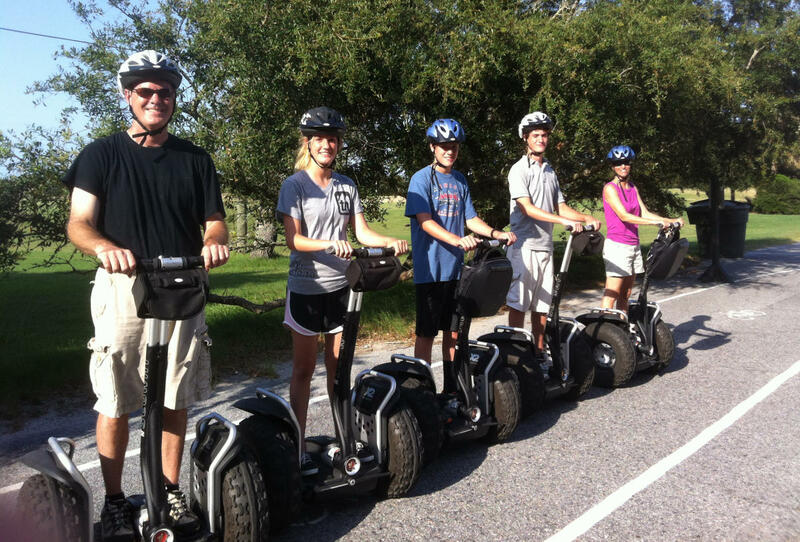 To take part in the Jekyll Island Fun Tours on Segway® PTs, please contact the tour guide in advance to learn of availability and tour times. You must weigh between 100-250 pounds to participate in a tour. Tour guests under 18 years of age must be accompanied by a parent or legal guardian.